4K video, the much higher quality video, has come into people's homes at an increasing pace. Newly-released iPhone 6s also support recording 4k video. But if you are not clear what 4K video is and how to convert 4K video. This article will walk you through what is 4k video and how to convert 4k video . 4K is a new resolution standard designed for digital cinema and computer graphics. It takes advantages over other video format: higher image definition quality, more detailed picture, better fast-action and larger projection surface visibility. 4K format was named because it has 4000 pixels horizontal resolution approximately. Meanwhile, standard 1080p and 720p resolutions were named because of its vertical resolution. The new standard renders more than four times higher image definition than 1080p resolutions. The 4k video converter will be a great helper to convert those 4k videos to other video format including AVI, MP4, MOV, MPEG, 3GP, ASF, FLV etc. 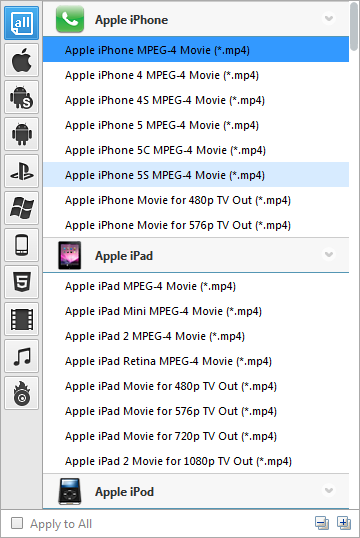 As an free 4k Video Converter, Any Video Converter freeware can help you free download and convert 4k video. Step 1. Free download and install this 4k video converter, then run it. Step 4. Start converting your 4k videos. What else can this Free 4K Video Converter do for you? * Download online videos from Nico, Google, MetaCafe, Facebook, YouTube and etc. 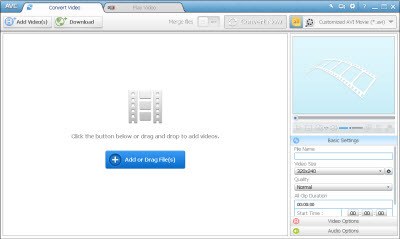 Just free download this 4K Video Converter Freeware!